JOIN US FOR STORIES, CRAFTS, AND TAKE HOME A FREE BOOK EVERY TIME!! Click here to learn more about this great organization. 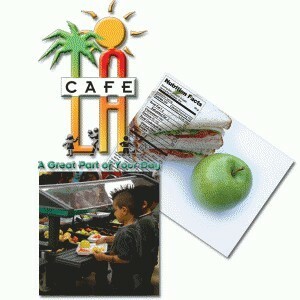 Click here for our school's breakfast and lunch menus. Los Angeles Elementary students take pride in exemplifying good character and being model citizens. JOIN US FOR AN ORIENTATION FOR ALL POTENTIAL FAMILIES! COME TO GET TO KNOW OUR SCHOOL, OUR STAFF, AND VISIT OUR CLASSROOMS. MAKE AN APPOINTMENT TO VISIT AN ORIENTATION SESSION TODAY! To see this website in another language click on the word "Select Language" at the bottom of the page and select the desired language. Para ver este sitio en otro idioma haz clic en la palabra "Select Language" en la parte inferior de la pagina y seleccione el idioma deseado. Our school office is open from 7:30 a.m. to 4:30 p.m. daily for your convenience. All visitors must sign in, wear a visitor's pass and sign out in the main office and show identification upon request. Please remember to bring your identification when picking your child up early from school. NO EXCEPTIONS!. Thank you. Bring a sweater or sweatshirt for cool classrooms. The pedestrian routes to school shows the recommended crossings to school. 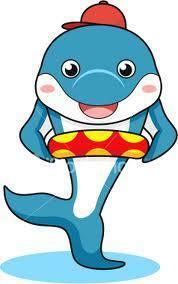 CLICK ON OUR DOLPHIN TO FIND THE SAFEST ROUTE.